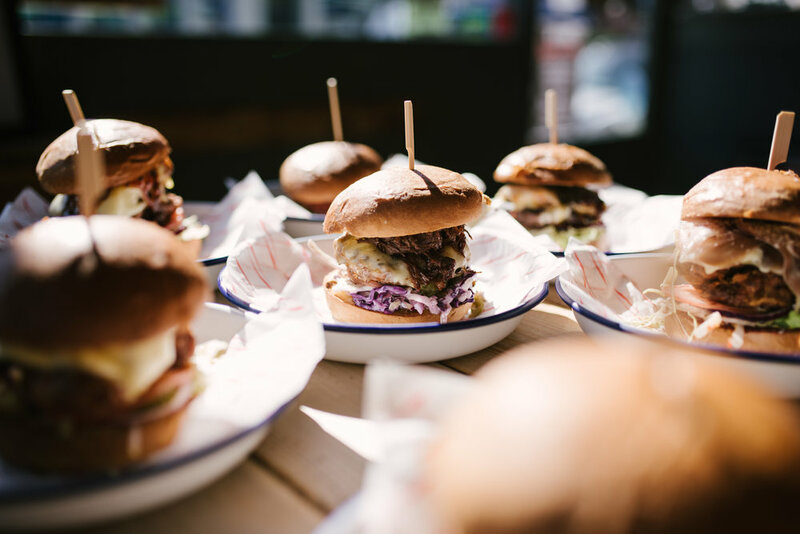 Located in Elm Grove, Jags@119 is a purveyor of American style dining from the heart of Southsea. 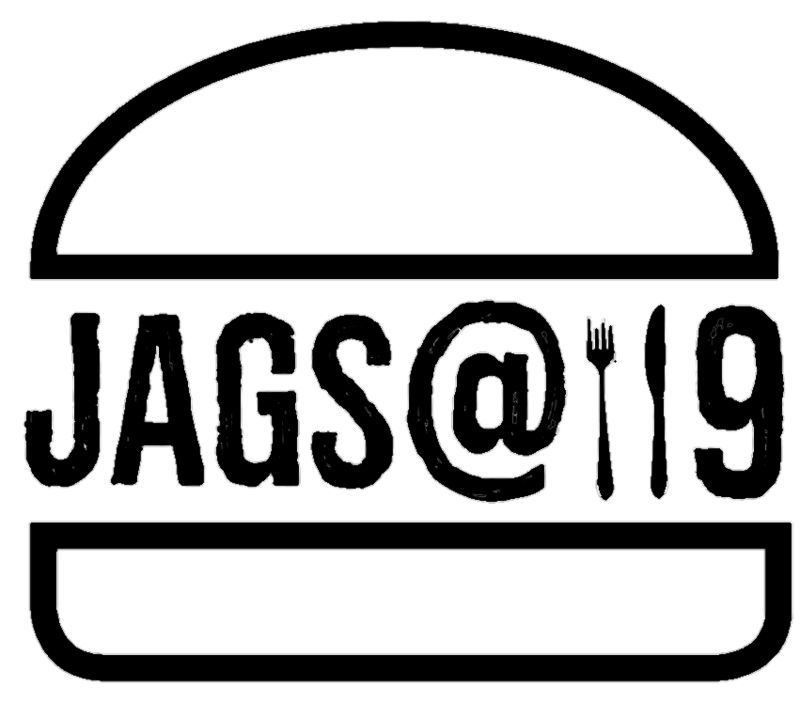 Jags@119 opened in May 2013 and is located on Elm Grove in the heart of Southsea. Since then, we have been on a journey of evolution as we transformed a 60’s american diner in to a contemporary burger restaurant with character. Since opening we have been searching for the perfect combination of Beer, Burgers and Live-music; only by sourcing the freshest ingredients, most refreshing beers and the best local musical talent. Our interior, reflects the hip sensibilities of the surrounding area while also paying tribute to the buildings storied past in Southsea. The split-level restaurant offers the choice to observe our live music acts from our seating area whilst indulging in our renowned food or get up close to the action on our lower bar level. 4 Cumberland sausages, 4 rasher of smoked bacon, 4 eggs and 4 hash browns. Served with mushrooms, tomatoes and beans. Cumberland sausage, smoked bacon, egg, and hash brown. served with mushrooms, tomatoes, beans and bread&butter. Pancakes, eggs, tomato, mushroom, hash browns and beans. served with bread&butter and maple syrup. 4oz Beef patty topped with smoked bacon, Cumberland sausage, mature cheddar, fried egg, mushrooms and tomato. served with ketchup in our brioche bun. Beef patty topped with honey marinara, pepperoni, swiss and monetary jack cheese on a bed on fresh rocket and finished with parmesan. A pizza as a burger!! Fried chicken topped with Swiss cheese, urban chilli honey and smoked bacon. with lettuce tomato onion and pickles. Fried mac and cheese patty toped with chunky salsa on a bed of fresh rocket. finished with grated parmesan. Our vegan bean patty topped with, pineapple, bell peppers, red onion, vegan aioli and teriyaki sauce. with lettuce, tomato. and pickles. a huge portion of skin on fries topped with house seasoning, cheese, bacon lardons, chorizo, jalapeños and spring onions. served with your choice of 2 dips: chipotle mayo, garlic mayo, sriracha, BBQ, buffalo, jerk BBQ, sour cream, Blue cheese dip, fry sauce. Light hints of pear and banana, set against a caramel and biscuit malt backbone. A caramel malt base supporting a full frontal citrus overload - grapefruit peel piled on top of intense US aroma hops. waves of crashing pine, orange and grapefruit. Cherry- red, very smooth with blackberry and plum fruit notes. Notes of wild flowers, with honey and banana. Dry, Soft, Fresh. A fresh, grassy-gooseberry Sauvignon from the east coast. Vodka, Gin, Rum, Tequila, Cointreau, Pisang Ambon, lemon juice topped with mountain dew. Our canned and bottled craft beers are forever changing, check out or facebook and instagram pages for weekly updates on whats filling our fridges. your choice of soda topped with a scoop of vanilla ice cream: Coke DrPepper, Root Beer, Cream Soda.